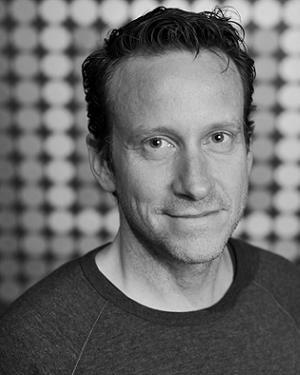 Larry Shea joins the CMU faculty from an active and diverse career at the intersection of Art and media technology in New York and has recently been appointed to create a top-notch Video & Media Design Option curriculum for CMU’s School of Drama. Shea is an artist working with film, video and interactive digital media. His work ranges from short experimental videos to video installation/interactive environments and recently, kinetic sculpture. He has exhibited his work at national and international venues including The Mix Festival in New York; MIX Brazil; Outfest LA; The British Film Institute, London; the Ars Electronica Festival, Lintz, Austria; as well as on cable and the internet. Shea collaborates frequently with other artists on a range of projects from theatrical visuals to museum exhibitions and large-scale public works of art. He created stage effects and environments for several of Mike Albo’s monologue performances at PS 122 and HERE Arts Center, New York. He worked with artist Julia Scher for many years on her surveillance-art installations, including “Securityworld” (1996 at Galerie Hussenot, Paris); “Wonderland” (1998 Andrea Rosen Gallery, NY and several European venues); and “Predictive Engineering 2” (1999 at SFMOMA). He was Technical Designer for Mary Ellen Strom and Ann Carlson’s large-scale outdoor video projection and performance extravaganza “Geyserland”, taking place on an observation-car train trip from Bozeman to Livingston, Montana in 2003 (www.geyserland.org). Shea holds an MFA from The Massachusetts College of Art, a BA from the University of Virginia and has taught video production and installation art at The New School for Social Research, NYC; The Pratt Institute, Brooklyn, NY and Film Video Arts, NYC. From 2000-2004 he was a full-time Visiting Artist at the School of the Museum of Fine Arts, Boston. From 2003-2005, he was Executive Director of the Internationally acclaimed, MIX: the New York Lesbian and Gay Experimental Film/Video Festival in New York.